Formulated to treat "flat" versus "bumpy" acne. The key feature of All-Over Blemish Solution is the fact that it addresses future blemishes before they appear. An oil-like, lipid-loving formula that goes deep into pores to dissolve waxy oil plugs, while delivering a powerful combination of active ingredients – breaking down existing blemishes faster by working from the outside-in and preventing future blemishes from the inside-out. Salicylic Acid lifts and removes the blackhead or waxy plug clogging the pore. Farnesol kills bacteria that lead to breakouts and Bisabolol soothes redness and inflammation. Additionally, your skin’s oil production is normalized by the inclusion of a Chelator in the product formula. Formulated to minimize future breakouts without over-drying and stripping the skin. Normalizes oil production to prevent your skin’s oil from turning into waxy plugs through the inclusion of a Chelator. Chelators detoxify the heavy metals found in tap water that are implicated in breakouts. Treats existing blemishes by killing bacteria found deep in pores. Since "like dissolves like" an oil-like, lipid loving base is utilized, allowing for deep penetration into pores. Powerful combination of active ingredients break down existing blemishes faster by working from the outside-in and preventing future blemishes from the inside-out. Helps reduce shine, pore size, redness and inflammation. Botanicals calm and soothe irritated skin. Smooth all over on clean, dry skin. 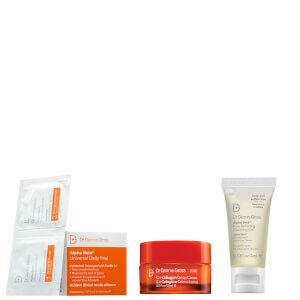 For best results, start by using in the PM after cleansing, oilier skins may use in both AM/PM. Other Ingredients: CyclopentaSiloxane, Dimethicone Crosspolymer, Dimethicone/Vinyltrimethylsiloxysilicate Crosspolymer, Squalane, Dimethicone/Vinyl Dimethicone Crosspolymer, Ubiquinone, Disodium EDTA, Bisabolol, Menthol, Phenoxyethanol, Farnesol. i had light acne before using this, only to find out it made it worse after using it. i grew little white heads along with the new pimples. i stopped wearing makeup for the sake of my acne but that didn't seem to help either. If your face is sensitive to alcohol please please don't use it. the kit comes with a moisturizer to use after the alcohol based product (because alcohol dries up your face) but i guess both products don't work. oh and of course i stopped using the eliminating pads because they smelled so strong and heavy with alcohol, i only used it twice and it made my acne worse. I have used this product for about 9 months.I have several small non-inflamed bumps that I am trying to get rid of. This product did nothing it claims! Maybe for a teen it would help with oily skin, but for mature skin I saw no difference just lighter in the wallet. This product tends to ball up when using it under moisturizer and foundation.